Australia's scheme of detaining asylum seekers on Manus Island has been ruled illegal by Papua New Guinea's Supreme Court, throwing the offshore detention system into doubt. 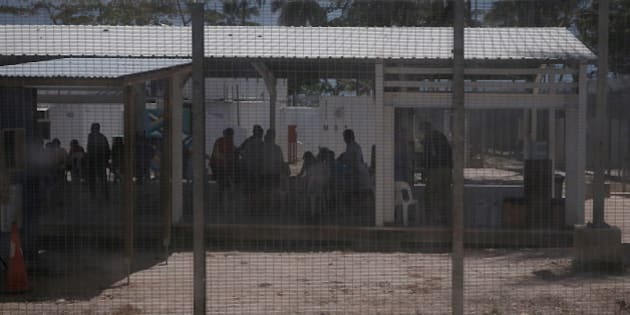 The ABC has reported that the court "ruled the detention breached the right to personal liberty in the PNG constitution," and that PNG and Australian governments have been ordered "to immediately take steps to end the detention of asylum seekers in PNG. "There are 850 men in the detention centre on Manus Island, about half of whom have been found to be refugees," the ABC reported. What effect this will have on detention on Manus Island, and Australia's broader system of offshore detention including on Nauru, is as yet unclear. Labor immigration spokesman Richard Marles said the ruling was "of significant concern" and he called for Dutton to be immediately be dispatched to Port Moresby for urgent talks with the PNG government. "Labor is seeking an assurance from the government that it has a contingency plan to deal with today's ruling. This decision, and our government's response will be monitored by people smuggling networks," Marles said. Refugee advocate Jeanie Walker, who is in regular contact with many detainees on Manus, told HuffPost Australia that the decision was not a surprise to her. She claimed staff at the Manus Island centre had been making changes to conditions in anticipation of the decision, including preparing to let certain groups of refugees take "day trips" into the local community. Walker claimed centre operators were attempting to portray Manus as an "open centre" like Nauru, to skirt the ruling. "They had a meeting yesterday where they said the refugees are now allowed to leave, like on Nauru, and pretending it's an open centre," Walker said. "They'll have a bus outside the compounds, they sign a form that says they will come back, and they go out on a daytrip. [Staff] have also said [refugees] are allowed to have phones inside two of the compounds. They knew this was happening, we knew for a long time this was going to happen." However, Walker said groups of refugees quickly agreed amongst themselves that they would not take up the offer, claiming the opportunity was a play to show Manus as a more open centre than it really was. "None of them are going to do it, they had meetings, they agreed that nobody would put in a request to go on a daytrip," she said. "[The Supreme Court ruling] is a good decision, but we need to know how it will be interpreted. It should be interpreted that the refugees shouldnt be on PNG, they should be taken to Australia and processed properly." “It’s very, very good news. They have put those people through three years of hell for no lawful reason. “The decision confirms everything we have said about Manus." Sarah Hanson-Young, Greens immigration spokeswoman, called for the government to take swift action in the wake of the ruling. Elaine Pearson, Australia Director at Human Rights Watch, welcomed the decision. "This ruling is a massive victory for asylum seekers and refugees who remain locked up on a detention centre on a naval base in Manus, many for almost three years now. PNG’s Supreme Court has recognized that detaining people who have committed no crime is wrong. For these men, their only “mistake” was to try to seek sanctuary in Australia – that doesn’t deserve years in limbo locked up in a remote island prison," she said in a statement. "It’s time for the Manus detention centre to be closed once and for all. Those found to be refugees should be given resettlement in countries that have capacity to integrate them, starting with Australia. Australia should also reconsider New Zealand’s offer of resettlement. Locking people up for years on end has severe mental health impacts. These refugees have suffered enough, it’s time for them to finally move on and rebuild their lives in safety and dignity."